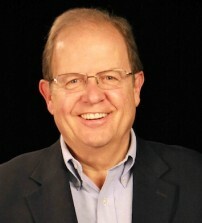 Ted Baehr is the founder and publisher of Movieguide, as well as a noted critic, educator, lecturer, and media pundit. His life's purpose is to educate audiences on how to use discernment in selecting their entertainment. Ted has written numerous books. He was president of the organization that produced the CBS television version of The Chronicles of Narnia: The Lion, Witch and the Wardrobe, boasting 37 million viewers and winning an Emmy Award. Ted produces at least 350 radio and television programs every year and sends MOVIEGUIDE(r) TV reviews to 11 million subscribers. He also produced hundreds of programs for PBS television. He presents the $50,000 Kairos Prize to the best new writers of redemptive scripts and the Epiphany Prizes for finished movies and television programs every year at the Annual MOVIEGUIDE(r) Faith & Values Awards Gala and Report to the Entertainment Industry. He is the former Chairman of the Advisory Board of the Christian Institute for the Study of Media, at the Center for the Arts, Religion and Education (CARE), at the Graduate Theological Union (GTU) at the University of California at Berkeley. He has received many renowned awards.